A very small studio that would suits 1 Person. Posted in Misc and tagged Crying Chair, studio at 12:46 pm on May 17, 2016 by Broadsheet. but, You have the suggestion of a crying window. I’ll send this to Simon Coveney with a ribbon and a thank you. He loves a good box to put people into, all hail Simon and his desire to return us to bedsit hell !! Because he can’t be ar*ed trying to think of new ideas around housing. Can this dogbox even be legal? Madness isn’t it? 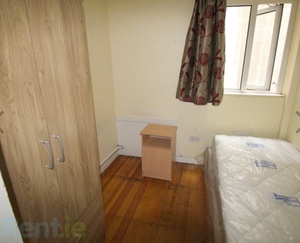 I used to live in a beautiful one bed, seperate kitchen, decent bathroom and bedroom in D6 for 750 a month. 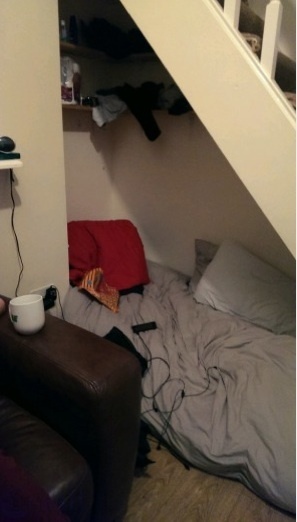 Wish I never moved out of it. They get an extra 4 weeks payment.. when it’s done weekly, as opposed to monthly. Only in this country do you see weekly rates for rents.. it’s like just tell me what you want a fupping month. I presume they don’t collect the rent weekly . It’s doesn’t become a bargain all of a sudden when you divide it out weekly and it’s still a sh*t hole. 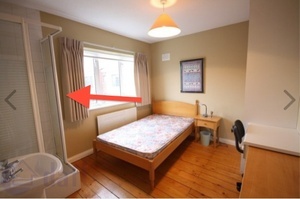 The ad says there is a wooden floor in the bedroom! I don’t think it matters. You’d have to go outside to change your mind. I think the strict no smoking policy is wise in this case… because there is no place to even put an ashtray. NCR is the pits for accommodation but this is taking the mick. At least you won’t fall out of the bed. I’d be finished and asleep before “The Thin Ice” was over. “the building is managed weekly and is very clean building and very quiet with existing tenants who want quietness.” I somehow imagined Donald Trump saying this line. 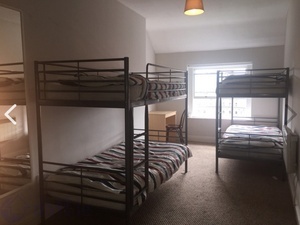 I know it’s not quite comparing like for like but me and my girlfriend each pay less than that amount for a lovely two bed house in a nice area, not too far out of town. It costs some amount to live alone in this city. Dublin 14, don’t want to be too specific! This is the great Irish entrepreneurial spirit at its best. There’s not even enough space to move the bed so you can hang yourself. I lived in the area several years ago. Rented a large room in a real nice large house, with a garden etc. for 400 per month. I know that was pretty cheap back then. 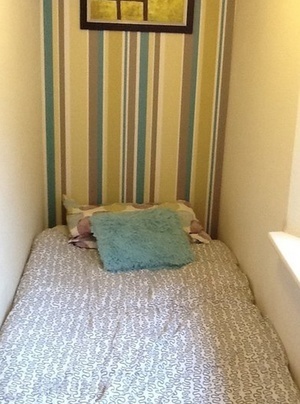 But this…erm…bed…is going for nearly twice that per month. My wages haven’t gone up though. Yes. Wages are down while profits and cost of living area up. But let’s blame luas drivers on 32k a year for out troubles. 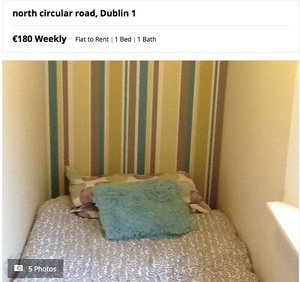 Why didn’t the Landlord go for the extra €8? Yeah, no room to swing a cat but would say ye could easily swing a rat.